Skye, Obert. Very Good. 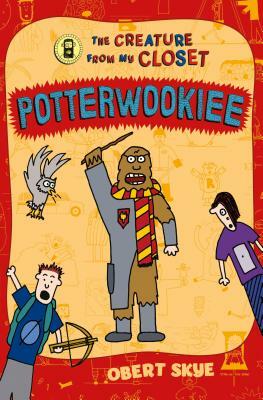 Potterwookiee: The Creature from My Closet (Creature from My Closet (Hardcover)) by Skye, Obert, 2012-09-18. Sewn binding. Paper over boards. 245 p. Contains: Line drawings, color. Creature from My Closet (Hardcover), 2. Intended for a juvenile audience. Skye, Obert. Good. Potterwookiee: The Creature from My Closet (Creature from My Closet (Hardcover)) by Skye, Obert. Sewn binding. Paper over boards. 245 p. Contains: Line drawings, color. Creature from My Closet (Hardcover), 2. Intended for a juvenile audience. Very Good. 0545572061 Ships from Tennessee, usually the same or next day. Good. 0545572061 Ships from Tennessee, usually the same or next day.